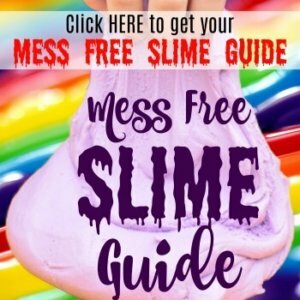 Looking for a fun summer activity for the kids? 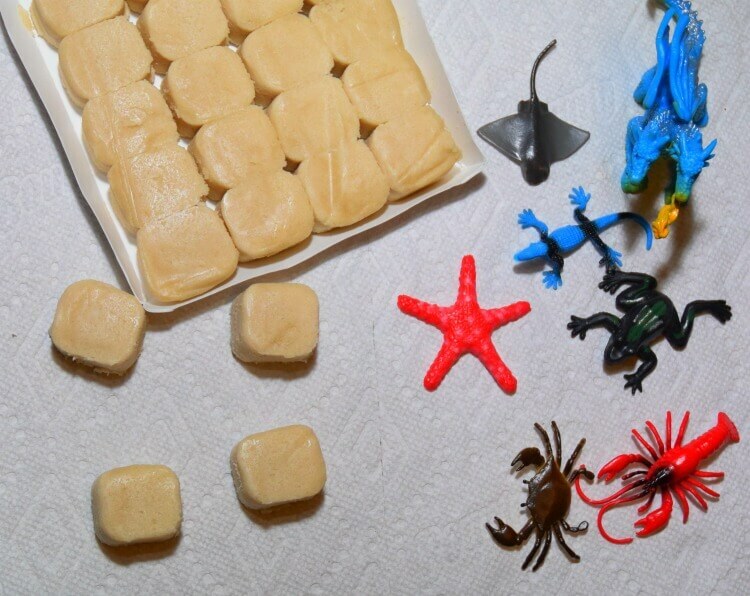 These Cookie Fossils for Kids are so much fun and perfect for a too hot summer day. 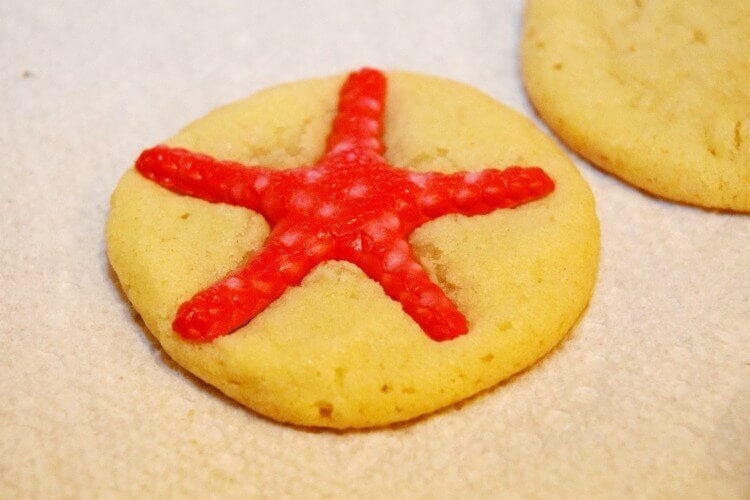 These are simple to make, especially if you buy refrigerated sugar cookie dough to make the cookies. Or you can make your own, too. I tend to take the shortcut of buying it in the store. You also need small animals or even dinosaurs or big animals with feet a bit smaller than your average cookie. 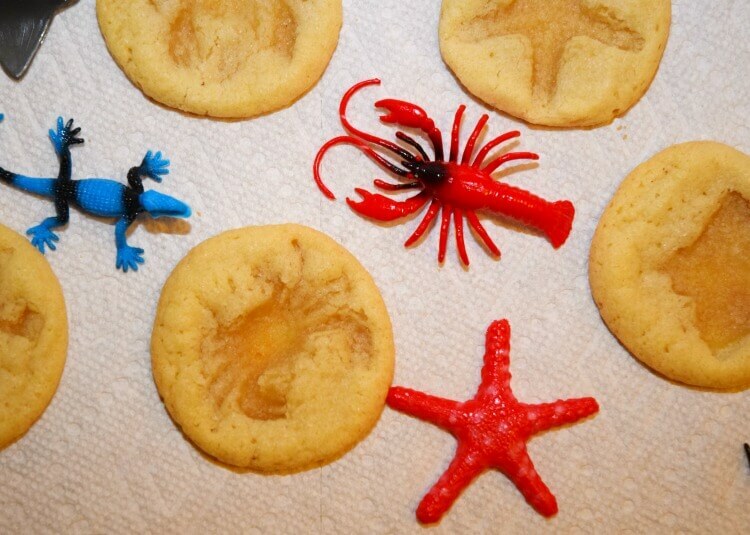 We ended up using the leftover sea creatures from our Light Up Mason Jar Aquariums for our Cookie Fossils for kids. 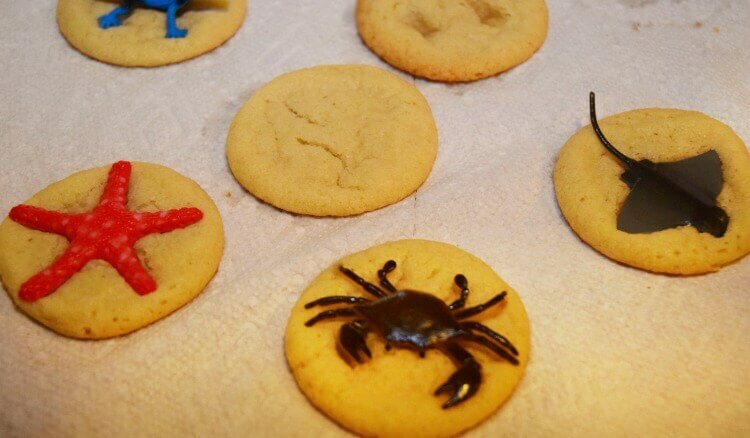 little plastic animals OR big animals with footprints to fit inside an average sugar cookie. Bake the cookies according to the package, but take the cookies out just a minute or so before it’s recommended. You want them soft and pliable. Quickly, I transfer them to paper towels for the kids. Then, they gently press the animal’s entire body or just the footprints of larger animals directly into the sugar cookie. And, now you can make fun fossil shapes! Carefully remove the animal shapes and let your cookies cool. Then, you’re free to eat your fossils! Want to take it up a notch? You can use a basting brush to add cinnamon or cocoa into the fossil shapes like a real “dig,” and it adds a little bit of flavor to your cookies! 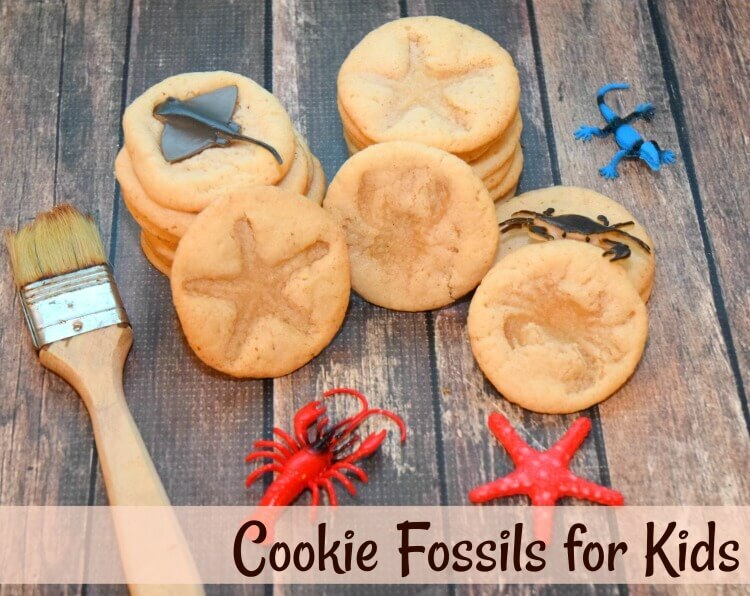 Have you ever made fossil cookies?